When we lived in DC in the 80s, my wife and I visited Arlington National Cemetery on numerous occasions. Each time we visited, we pretty much stuck to the tourist map. When I returned last year, I vowed to walk every street in this solemn outdoor sanctuary. As the grounds are over 600 acres, I’ve not accomplished that goal quite yet. But I have seen quite a bit of the cemetery not normally visited by the every day guest. Above photo: – I was struck by this sign at the entrance to the cemetery. 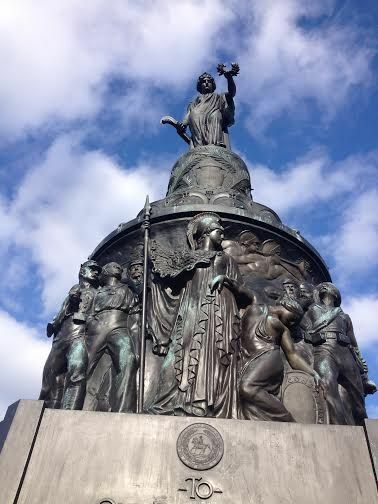 As a general rule, most visitors I have observed show the proper reverence. One morning I was following a college basketball team having a morning walk before their game later in the afternoon. Near JFK’s grave, I noticed one of the young men break away from the group in order to pick up a piece of paper lying on the ground about 20 yards away. The Tomb of the Unknown Soldier is not the only resting place of “unknowns” buried in Arlington. 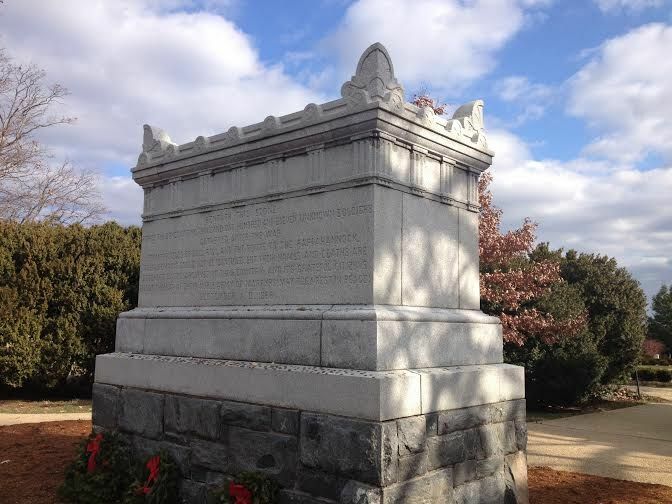 Near the Custis-Lee mansion is the Tomb of Unknowns from the Civil War. One thing that amazes me as I walk new streets in Arlington National Cemetery is the beautiful sculpts. This one is a tribute to Union Troops from the Civil War and is located near the back wall that borders Ft. Myers. 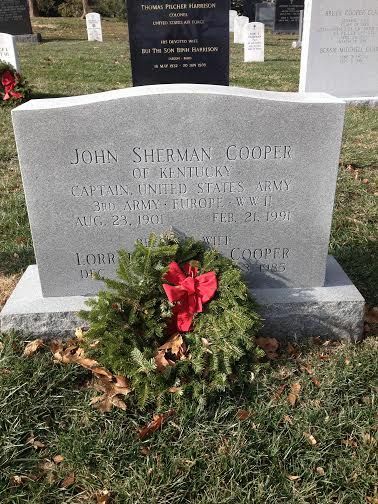 While I haven’t done the research, I suspect John Sherman Cooper is the one person I knew who is buried in Arlington. I met John Sherman my first week in DC when he told me stories about attending dances run by my grandfather at the American Legion Hall in Ludlow. It is also the only funeral I’ve attended at Arlington. 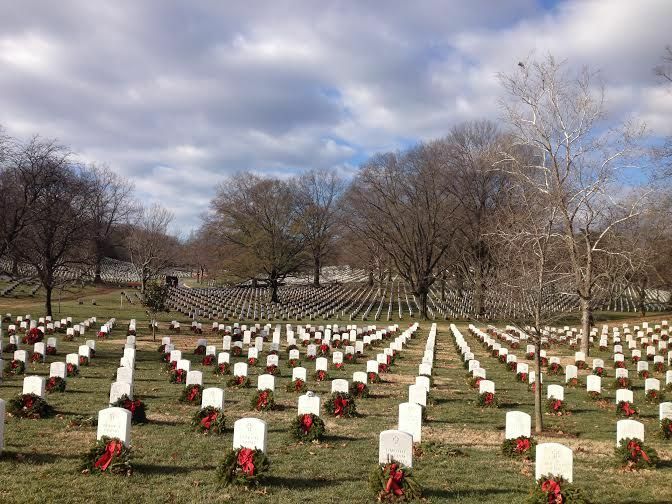 Each December, volunteers place wreaths at each grave site.